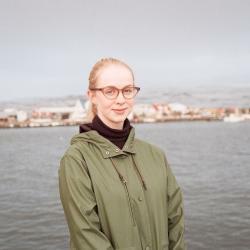 The arrival of British troops in WWII heralded a new age for the Icelandic people, as is told in the tragi-comedic theatrical performance ‘KATE’. It tells the story of an Icelandic family, their wayward daughter Selma, and their foster daughter, Kate—two young Icelandic girls who were deeply touched by the occupation. This performance takes the audience back to a historic time in Iceland, and is accompanied by thematic live music and a windy stage. ‘KATE’ is showing at Tjarnarbíó on December 4th, 5th, and 6th at 20:30. Admission is 3,500 ISK, and tickets can be bought in advance here. Next: Naked-Guy-In-A-Box: But Is It Art?